A Chicago native, Jerry Irwin Hoffman, DDS, Colonel, US Army Retired, was born November 20, 1935 and passed away peacefully at home on December 29 following a courageous battle with Parkinson's disease. Jerry graduated from DePaul, Roosevelt and Loyola University, School of Dentistry. He served in the U.S. Army as a dentist and an administrator from 1964 to 1981 and retired with the rank of colonel. Following his military career, Jerry served as Associate Dean of Academic Affairs, Chief of Clinics and Chief of the General Dentistry program at Loyola University's School of Dentistry. He ended his career as Director of Scientific Programs at the Chicago Dental Society. Jerry and his wife retired to Pebble Beach, CA in 2003. Jerry was preceded in death by his parents, Irwin and Luba (Fox) Hoffman and his sister, Marilyn (Alan) Mills. 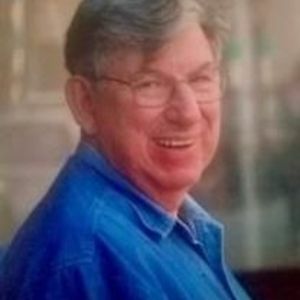 He is survived by his beloved wife of 54 years, Sharon (Seaman) Hoffman; sister, Arlene (Charles) Klinenberg; loving children, Steven (Jason Brunz) Hoffman and Rachel (Steven) Rosen; granddaughters, Jocelyn and Danielle Rosen and numerous nieces, nephews, great-nieces, great-nephews and cousins. The family wishes to thank Jerry's doctors, Richard King, Alejandro Centurion and Chadwick Christine III and his wonderful caregivers, Lizzy Ortiz, Mele Lolomanaia, Central Coast Senior Services and Visionary Healthcare Services. Burial has taken place. Donations in Jerry's memory may be sent to: Central Coast Quality of Life programs, 519 Hartnell, Ste. B, Monterey, CA, 93940; Point Lobos Foundation; National Parkinson Foundation, 200 SE 1st St., Ste. 800, Miami, FL, 33131. Please visit www.thepaulmortuary.com to sign Jerry's guest book and leave messages for his family.